A business Licence for trading under the name Alectromix was obtained by Joe dos Santos in 1982 our first Instruments were sold. 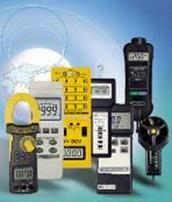 Test and Measurement Instruments C.C. was later established in 1985 at a time that instruments moved rapidly from analogue to digital form, and associated itself in a long term relationship with an innovative designer / manufacturer of such quality equipment to this day and whose products are widely featured here. 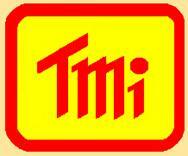 This has been the inspiration for our superb new T+M Instruments product range in a growing world market, and has been making it’s presence known at a fast pace by their unparalleled quality and competitive pricing, presently being marketed globally, indicating that it’s price and features are highly acceptable. Our exemplary service has been one of the pillars of our success, and is a proud lengthy accomplishment, where we strive to offer excellent service in sales and maintenance at affordable prices. · Wholesale and Retail Distribution Outlets. Sub-distributors and resellers are used as an extension of our sales and distribution strategies. Our delivery resources include our own delivery, national and international courier services as well as our national postal services. Please advise colleagues about our site and products by sending them an email by clicking here, and test us for service and product quality. We will be publishing regular updates on new equipment, and will be in a continuous process of adjusting the site for ease of use, so please feel free to comment on any ideas of what you would like to see on this site. · To efficiently achieve and maintain satisfaction for our customers with excellent equipment, services, pricing and support, through ethical business practice. · To become the leaders in the fields of supplying Test and Measurement Instruments along with Educational Training equipment for the industry’s requirements. · To have a long term, mutually beneficial relationship with our employees, suppliers and customers, and to become their preferred supplier. We have a client-driven business philosophy. Product development, product pricing, service and investments are driven by our goal to always exceed our clients' expectations. Customer service and support are paramount, and businesses of all sizes have our commitment to the same level of quality service. Our staff are mandated to be ethical and professional at all times, while remaining conscious of all their legal, social and environmental obligations. Our strength lies in our ability to offer high quality service and products. We only associate and deal with reputable and well established companies and brands throughout the world. Our business has been built on good service reputation, reliability and dependability. Goods remain the property of Test and Measurement Instruments C.C until paid for in full. We offer a 12 month walk-in guarantee on products sold, excluding damage from negligent or abusive use . Please also read our Guarantee Period statement. Our products are guaranteed and we provide personalised technical support.